Autumn Johnson, who turned 1 last week, was fatally wounded by gunfire as she stood in her crib in the Compton garage where she lived. Her death on Feb. 9 made her the 411th homicide of a child 5 or younger in Los Angeles County since Jan. 1, 2000. Many are the victims of abuse or violence in their homes. Others, like Autumn, were innocent bystanders, caught in the crossfire of a confrontation or attack. Here’s a look at who those youngest victims were and how they died. Overall, homicide victims are overwhelmingly male. More than 85% of people killed are men or boys. The youngest victims, however, are nearly evenly split between boys and girls. The locations of homicides of small children largely follow the pattern for homicides in the county. While gunshots are by far the most common cause of homicides in L.A. County, accounting for 75% of incidents, the shooting death of a very young child is more unusual. Beatings, abuse and neglect kill more than three times as many children as gunshots. Many of the deaths fall into a categorization of "other," which includes multiple traumatic injuries, head trauma, asphyxia, drowning, burns and starvation. The race and ethnic makeup of children 5 or under match the proportion of all homicide victims in the county nearly exactly — unlike the patterns for gender and cause of death. Like the overall county numbers, blacks are overrepresented, representing about 10% of the county population but 30% of homicides. The coroner's records had no racial designation for 30 of the victims. Here’s a look at some notable cases over the years. 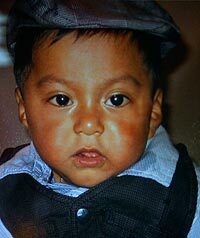 Angel Cortez was shot and killed June 4, 2012 in Watts. The boy's father, Mauro Cortez, had just donned a purple shirt a friend had given him. "I own a Honda," the shirt said. "Be nice to me." Witnesses say Cortez was still wearing the shirt and holding his son when a black youth in a dark hoodie rode up to the group on a bicycle, fired a gun into the crowd and pedaled off. 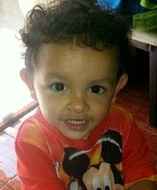 The bullet pierced the toddler's back and struck Cortez in the upper body. The boy died later that night at a hospital after emergency surgery, according to authorities. Cortez was one of 13 children under the age of five killed in L.A. County that year. Aaron Shannon Jr. died Monday, Nov. 1, a day after he was shot in Florence. Officials said Aaron was enjoying Halloween when he ran into the backyard to show off his Spider-Man costume to family members about 2 p.m. While he was outside, two men armed with handguns opened fire in the alley behind the home. At least one of the rounds struck Aaron in the back of his head. His uncle was hit in the leg, and his grandfather on the wrist. Investigators said they believe the alleged gunmen had mistaken the location for one they intended to fire on. Luis Garcia, a 23-day-old baby boy, was killed by a stray bullet near MacArthur Park in Westlake on Sept. 15, 2007. The mother was pushing the baby in his stroller as she shopped for clothes spread out on the sidewalk at a vending location at a busy, informal outdoor market near Home Depot. Three Latino men or youths with shaved heads walked up to the vendor and shot him in the chest. One stray bullet hit the baby. 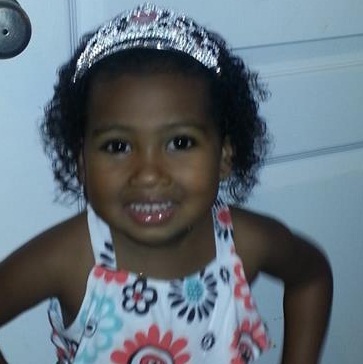 Suzie Marie Pena is the only young child killed by police in The Homicide Report. 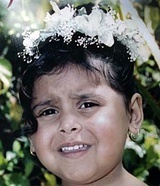 She was shot and killed July 10, 2005, when her father, Jose Raul Pena, took her and her stepsister hostage inside of Raul's Auto Sales in Green Meadows. After her stepsister escaped and believing that the girls' father had been wounded by gunfire, SWAT team members moved in to rescue Suzie. Once inside, they discovered Pena was mobile and shooting at them from behind the wall of a small office. Officers returned fire. Suzie, caught in the crossfire, was shot once in the head by a SWAT team member. Many ignorant people make comments black lives dont matter because black kill each other. 90% of all homicides are commited by same race. People! kill each other. Black lives matter is a statement to bring attention to the number of murders of unarmed blacks by enforcement. It is not saying black gang members have a pass to kill innocents those gang members need to be dealt with accordingly, especially for killing innocent children. Read before you go on uneduacted rants of ignorance. Your hatred blinds you from seeing the truth. Cops kill a large amount of unarmed blacks and latinos. Black lives matter and Latino lives matter for justice as well. Some evil blacks don't mean the whole race deserves no justice. There are evil whites, latinos and asians but when 1 of the 10% of blacks commit a crime its, " burn the apes" This world is evil and racist. Death is not so bad. Who wants to live with evil ignorant racist humans who cant google a meaning of blm. — Lucy luz June 13, 2018 at 7:08 p.m.
— Mike epps April 26, 2018 at 6:39 p.m. 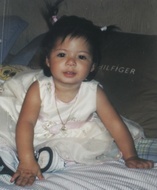 I was born in Los Angeles, my dad moved us to the south due to gangs. What is all of this hate directed to BLM about? You people in these other races aren’t any better, you kill each other too. I’m not saying it’s right at all. I’ve lost family members to violence, where the perpetrator was never found. I’m not sitting here blaming other races for my problems either. I don’t get into trouble, went back to school and became a EMT, in nursing school. Stop blaming other people, it always hurts to lose a child. — Tia C Jan. 6, 2018 at 10:39 p.m.
— Mrs V Sept. 28, 2016 at 2:29 p.m. This is sad, it's not only about "black lives." This is about human life. Innocent children who are being abused and killed at the hand of those who are supposed to protect them. They are hurt, beaten, abused and killed at the hands of sick people. People who have no regard for human life. Where are we when this is taking place to an innocent little life. A child who can not protect themselves. A harmless child. Child protective services has failed these children over and over and over again. Open your eyes, be aware of your surroundings. If you hear something, see something, report it once, twice, however many times it takes to bring justice to this innocent life. These children deserve to be loved and have the right to live. This is about ALL human life. If we can save one child from being abused, that's one child we are giving a life to. It's sad how many innocent children die at the hands of sick people who have no regard for human life. — Blanca S Sept. 18, 2016 at 1:19 a.m.
" Love Respecto and blessings to my Latin familia...my white folks and everyone in between! . — Jay March 7, 2016 at 11:24 p.m.
ost homicide victims are victims of their own race shows me that you most likely have been indoctrinated by the news media. Remember whether done consciously or unconsciously, the results are the same. — Gregory Wooten Feb. 18, 2016 at 9:08 p.m. It's clear all you Black Lives Matter bashers don't have a clue what BLM is all about. It's not about all black deaths. It's about the disproportionate number of black deaths at the hands of law enforcement. Law enforcement is supposed to protect and serve; not to be judge jury and executioner. Get your facts straight before you mouth off and prove you all are clueless white people. FYI; I'm white, but I can read. — Laura Bianchi Payne Feb. 17, 2016 at 5:18 p.m.
"BLACK LIVES DON'T MATTER", if they did, the killings of black against black, and black gangs would STOP! — Nisi65 Feb. 17, 2016 at 4:45 p.m.
— Jann lavette Williams Feb. 17, 2016 at 3:41 p.m.
— Douglas Gray Feb. 16, 2016 at 2:22 p.m. It is a great sowwow to see these sweet and innocent children victims of violence. My heart is with their families and loved ones! — grace ziem Feb. 15, 2016 at 3:39 p.m. Simple, "Black lives matters" doesn't really care about real issues. They just like to use race to justify the horrible way they act. — Azrael Feb. 14, 2016 at 9:49 p.m.
— HB Feb. 12, 2016 at 9:28 p.m. Very sad. Why won't groups like "Black Lives Matter" speak out on these tragic slayings since many of these poor children are black? — Best Coast Feb. 11, 2016 at 5:13 p.m.